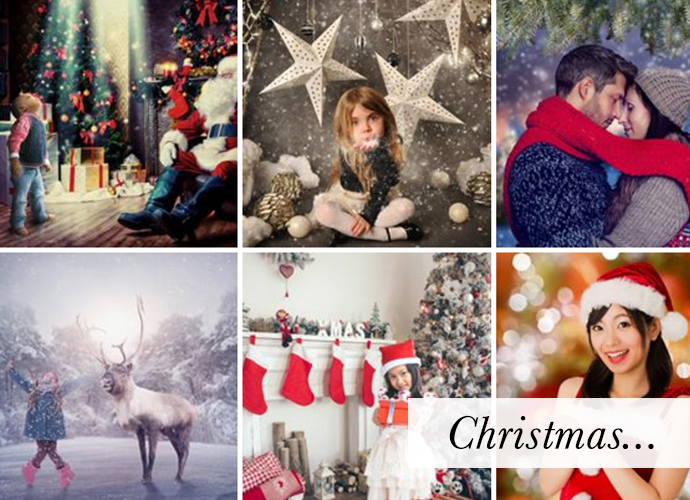 Have you ever wanted amazing holiday photos but just didn’t have the time to get everyone looking their best and to set up the perfect backdrop? Me too. Every year when the holiday season starts, I immediately begin brainstorming ideas for a memorable holiday family photo. Then, just like every other year, time gets away from me and either I don’t get it done, or because I’m so crunched for time, it doesn’t turn out like I’d hoped. I still cherish the photos, but often find myself wishing they had a bit more pizzazz. This post is sponsored by Krome Studio and credit was provided. 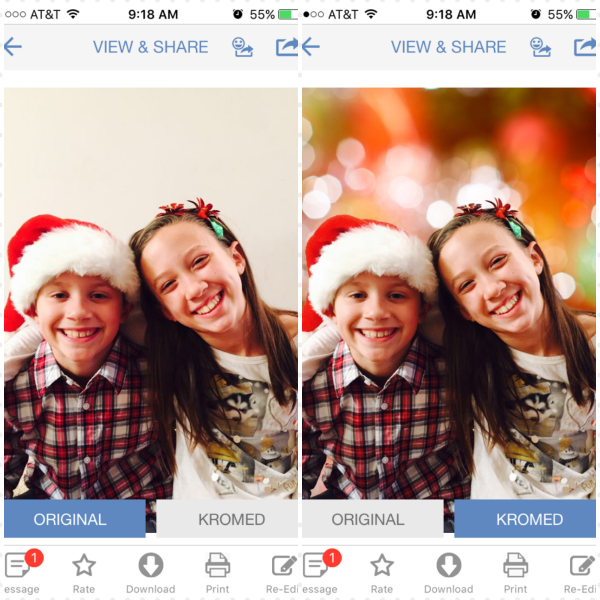 That’s why I’m excited about the Krome Studio App. 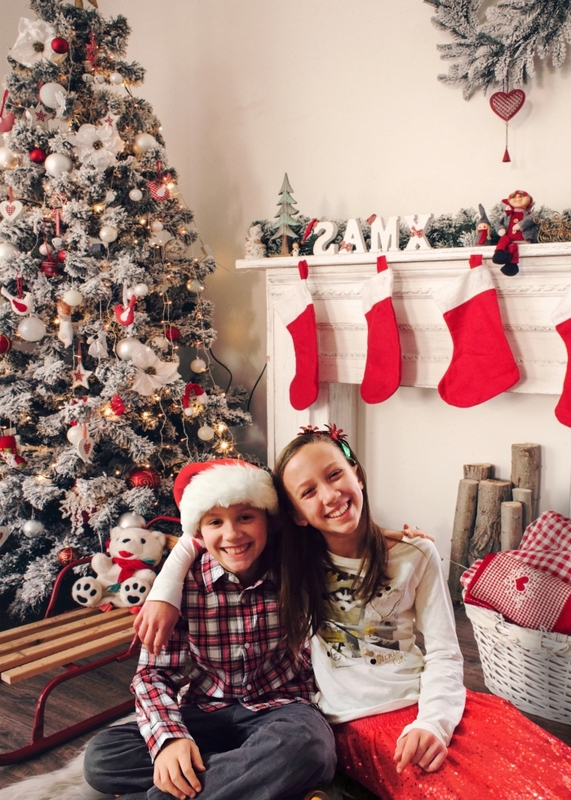 Simply have everyone get dressed in their holiday outfit and snap some photos from the comfort of your living room. It doesn’t matter if the tv is on in the background, if you have carpeted floors but wish you were standing in a snowy field, or if the dog runs through the photo for the umpteenth time. 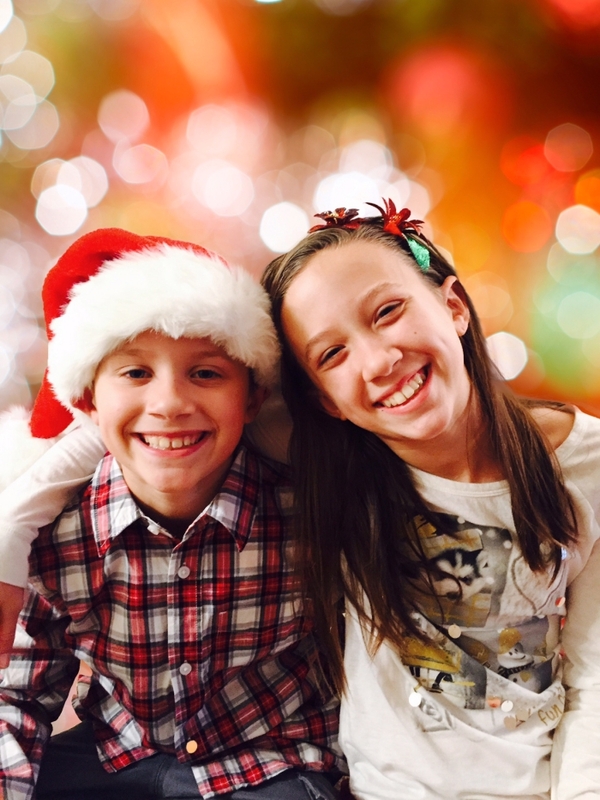 The designers at Krome Studio will take your pictures and, based on your selections, add festive backgrounds, remove Rover, touch up everyone so they look their best, do some color correcting, and more. 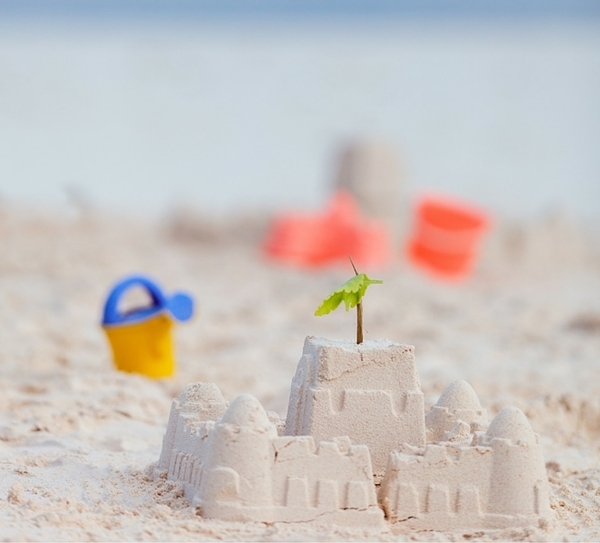 All making your holiday photos look amazing and as if you and your family just stepped out of photo studio or had a professional photographer following you around. That’s it! Most photos are ready in 24 hours and are ready for you to enjoy, download (which you can then print), share, and more. 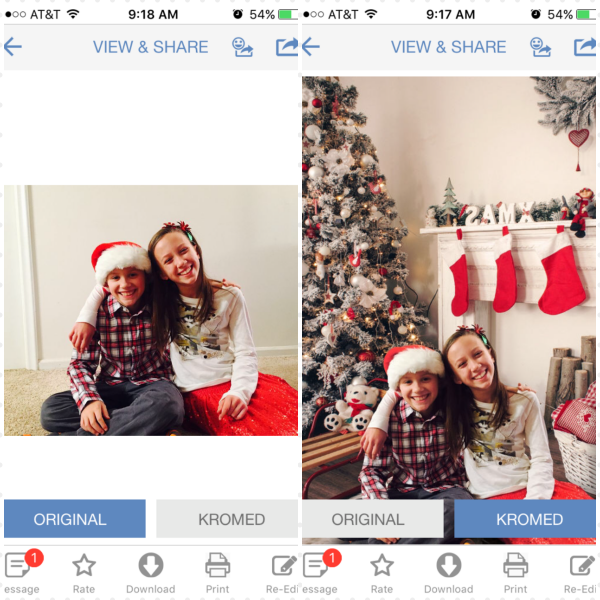 After taking the pictures, I selected various backgrounds in the Krome Studio App, and off they went to the designers. In 48 hours our photos were Kromed and they look amazing! Here they are – before and after. Don’t they look great? I love them all and we are going to have a hard time deciding which one to put in our Christmas cards this year! 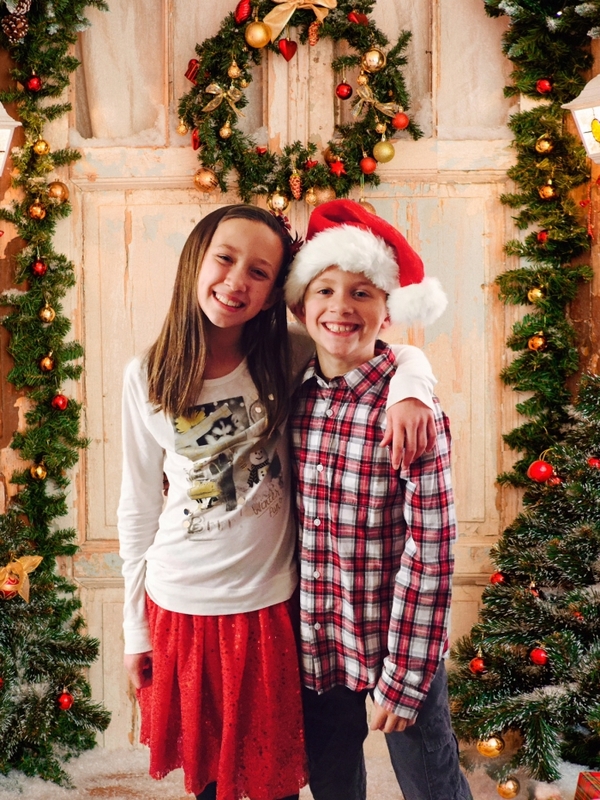 The Krome Studio app has a variety of different holiday backgrounds to choose from. There are even more looks I can’t wait to try and some that would be cute for Dave and I to pose for. 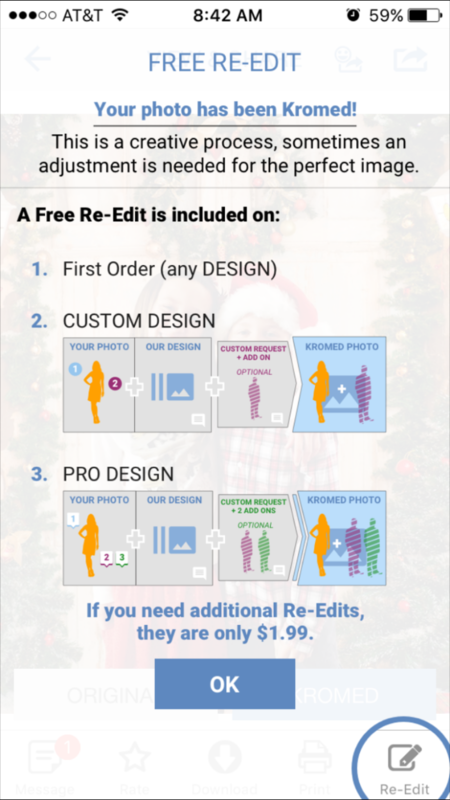 Your first design is $1.99 and thereafter the price for adding the background to each photo is $4.99 and you get one free re-edit for each photo. 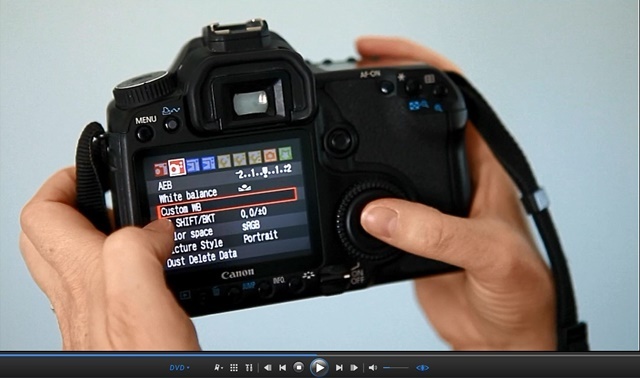 That’s a great price compared to a photo studio or buying fancy photo design software. 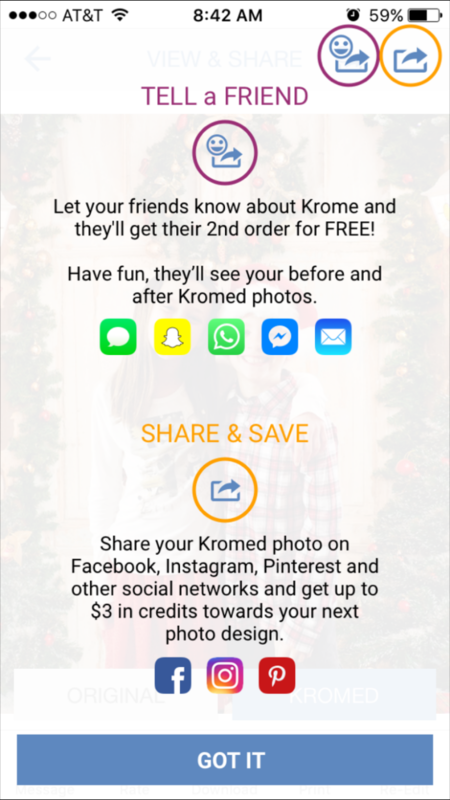 They also offer credits when you share your Kromed photos on social media and if you refer a friend they will get their 2nd photos for free. 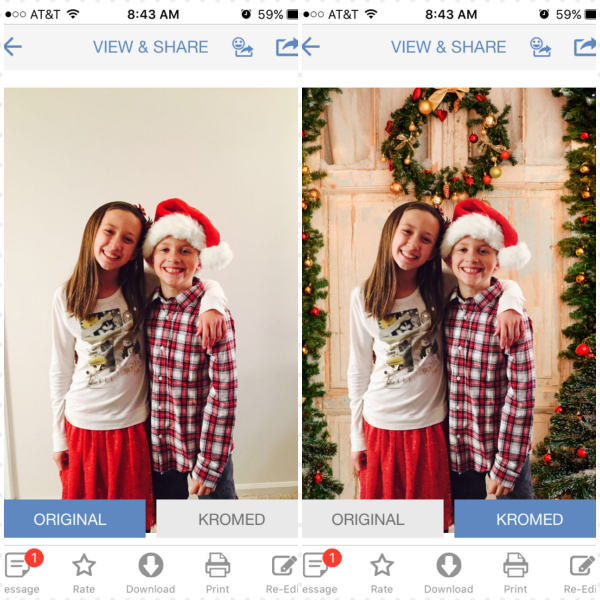 I love the Krome Studio app and recommend it to anyone looking for a way to create amazing holiday photos that you’ll cherish for years to come. It’s a fun, affordable, way to make your pictures look professional even when everyone is standing (or sitting) right from the middle of your living room floor! 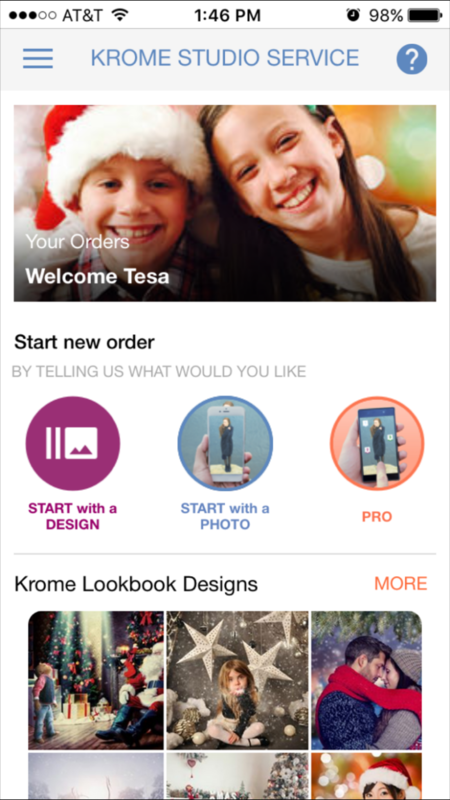 Be sure to follow Krome Studio on social media for more examples from other customers. They share before and after pictures as well as discount codes too, so you can save even more money! I really like the last one with the Christmas lights. The backwards xmas in the tree backdrop is weird though. Definitely a cool app. What a great app – so convenient! Wish I knew about this a few weeks ago when we were trying to get all the kids together, good light, good weather, etc. This app makes is effortless. Great photos! I will definitely have to check out the app. Great pictures! It would be nice to add a background to some of the pictures that I take on my phone. 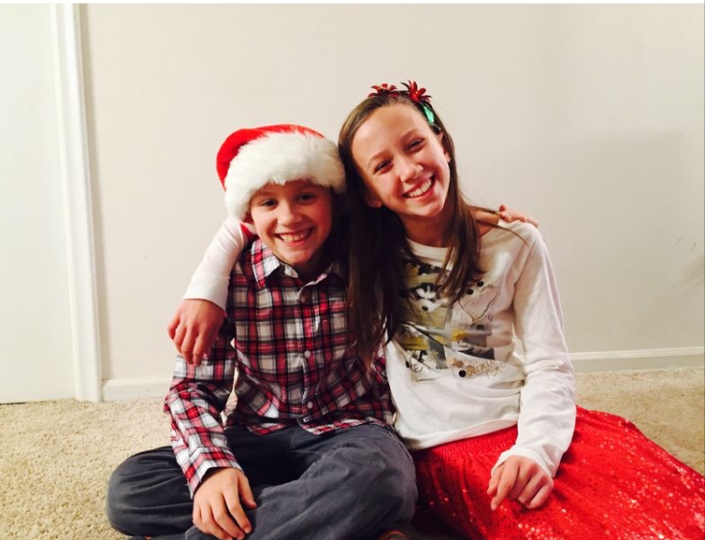 Your pictures are really cool! I like that this app can help with taking pictures because I really need it! Some people have a knack for taking photos. Every photo I take comes out crooked as though I was leaning to one side when I took the picture. Looks really easy to use! I love how the pictures turned out! That looks really neat. It would be really nice to add a background to some of the pics I take on my phone. Love how easy this sounds! Definitely going to check this out. Thank you for the review. This! I have been looking for exactly this! Thank you so much for this post,I am so excited to get started! 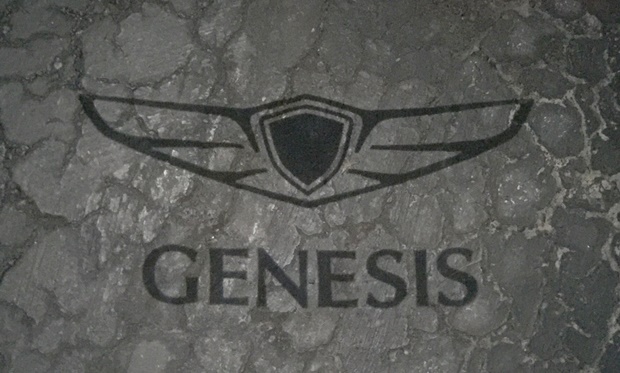 This is pretty cool! I love what you can do with a simple picture! Wow they do an amazing job! I don’t have a smart phone, and I never heard of this before, but I want to tell my relatives about it – so nice! Omg! 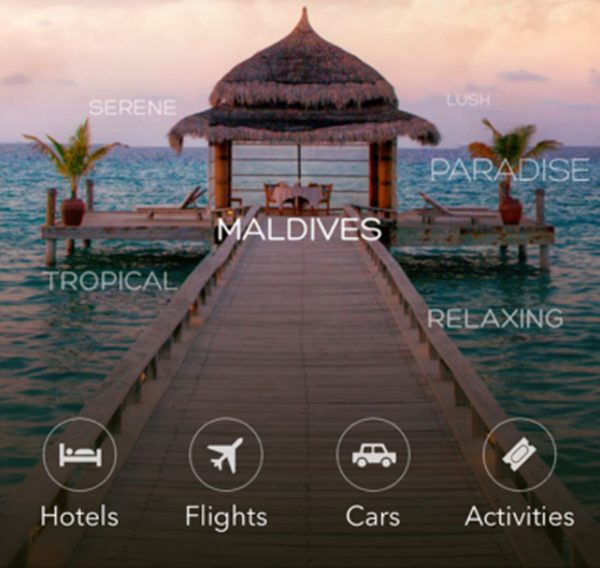 I am really excited for this app! My husband doesn’t like taking professional photos so this is perfect!